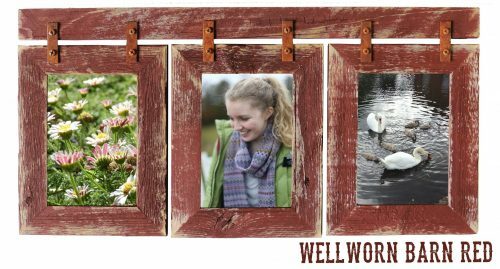 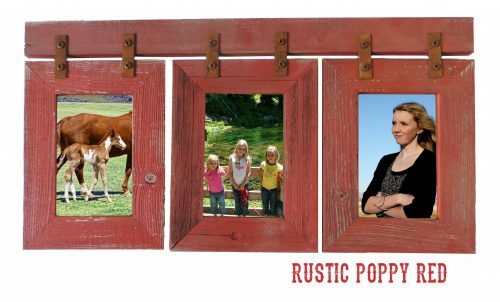 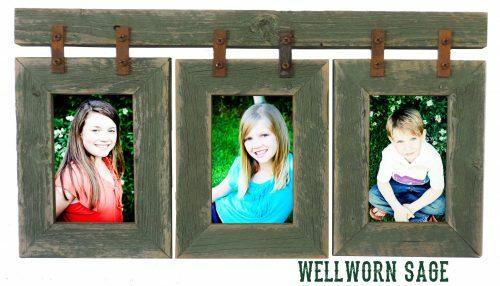 Dimensions 39″W X 15″H–Features 3 — 2″ 8 X 10 barnwood frames attached to a 2″ barnwood header with rustic metal hardware. Designed to accommodate 2 horizontal 8 X 10’s and 1 vertical 8 X 10 OR 2 vertical 8 X10’s and 1 horizontal 8 X 10. Available in a number of rustic painted colors at no extra charge.